Berkeley's philosophy denies the existence of matter. According to his work, there is no material world, only our own experience. So when you don't see something, it isn't there. Then how does the world persist? Because it is supported by the continuous perception of an all-seeing God. Berkeley's ideas appear to take empiricism to a ludicrous extreme. But is this quite so absurd as it seems? We are frequently forced to abandon common sense and the obvious in order to progress beyond the immediate muddle of everyday existence towards what we consider to be the truths of science. 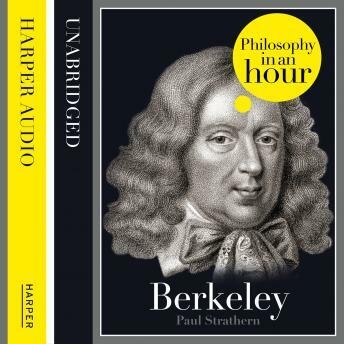 This audiobook is an expert account of Berkeley's life and philosophical ideas - entertainingly written and above all easy listening. Also included are selections from Berkeley's work, suggested further reading, and chronologies that place Berkeley in the context of the broader scheme of philosophy.